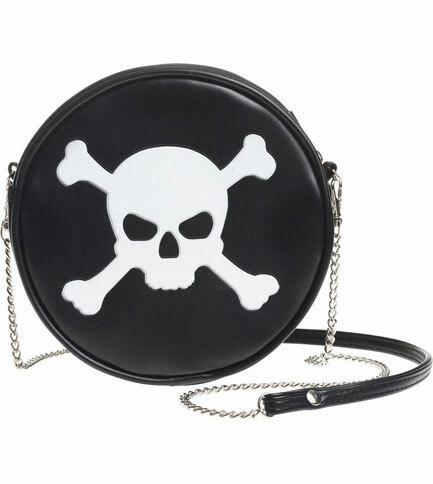 The Skull & Cross Bones bag is a round black purse-shoulder bag with the iconic skull & bones boldly embossed on the front. 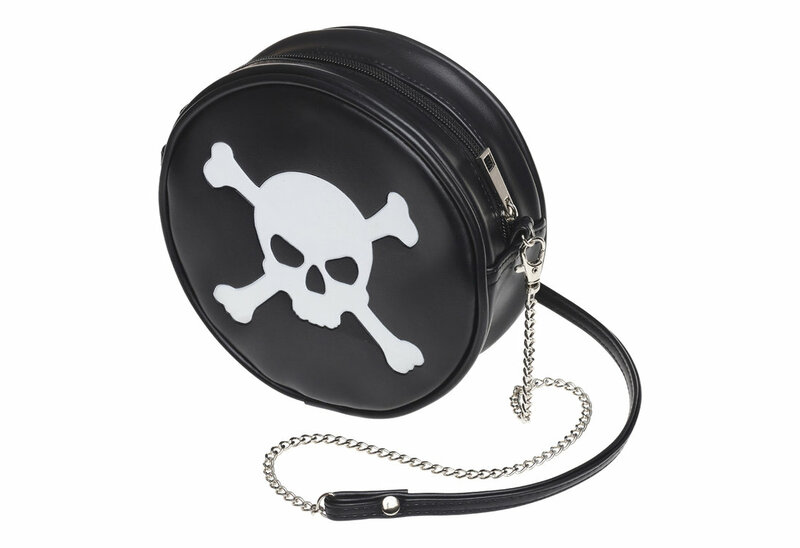 The bag is made from PU leather with a metal curb chain and shoulder strap. 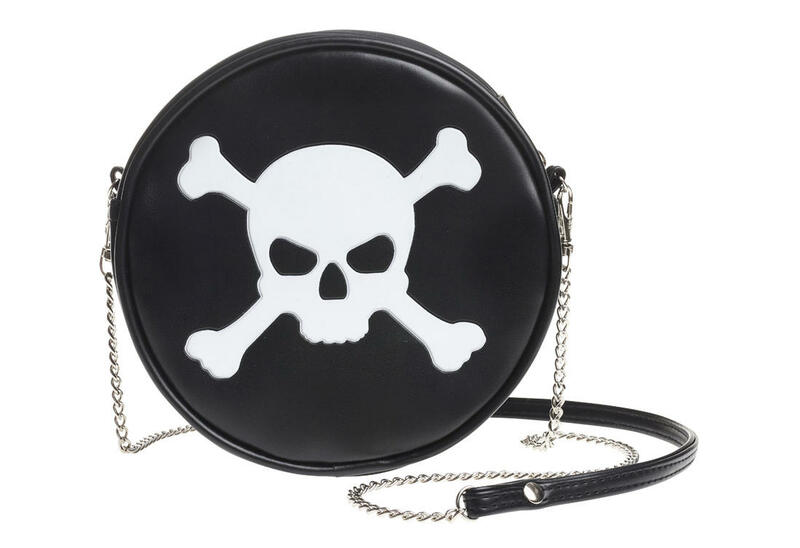 The bag is approximately 7.09 inches in width, 7.09 inches in height and 2.36 inches deep. 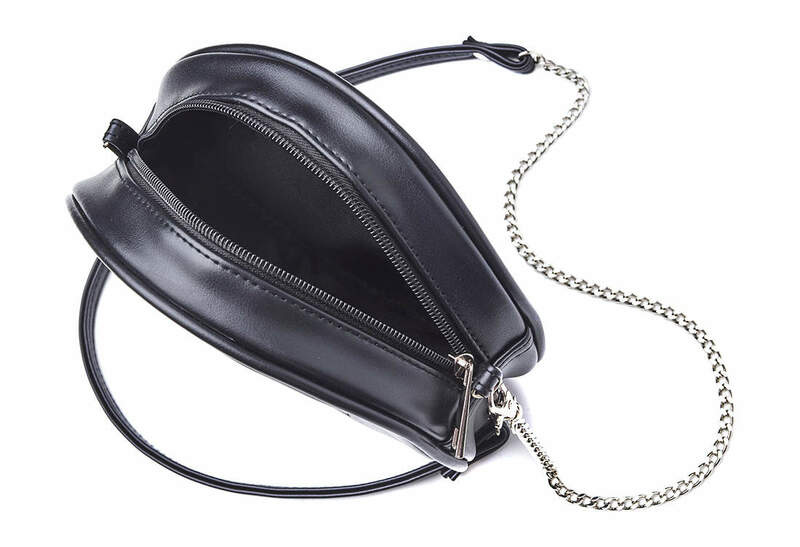 It also has a zip opening across its top edge.